Last week, I took a trip to BMW’s Zentrum museum in Spartanburg, South Carolina. While there, I took a stroll through the gift shop, where they had a large selection of great BMW diecasts to choose from. 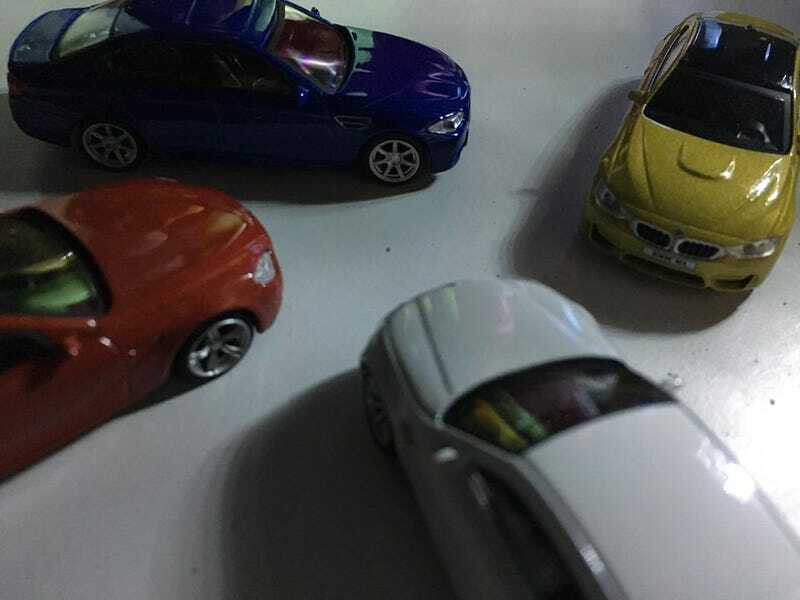 Me being the poor LALD’er that I am, couldn’t go for the $100+ 1/18 Kyosho models, so I decided to retreat to a smaller level with this 4-car set of modern BMW M cars, made by an unknown company. And a 2014 M5 Competition Pack in Monte Carlo Blue. In all honesty, this pack is worth the $22 in the Zentrum gift shop. It’s a great collection of cars that will please any BMW fanatic, and the casts themselves are quite well done and well built. To compare them with other manufacturers, I’d say the quality of build is somewhere between Greenlight and Tomica, with more emphasis on Tomica as to quality and scale, but not quite the same amount of detail. It’s definitely a great buy, nevertheless. If anyone could shed some light onto the manufacturer, that’d be great. But, otherwise, if you can find this pack, I’d recommend it. Great little cars.